Finish off your invitation or stationery with custom printed return address! 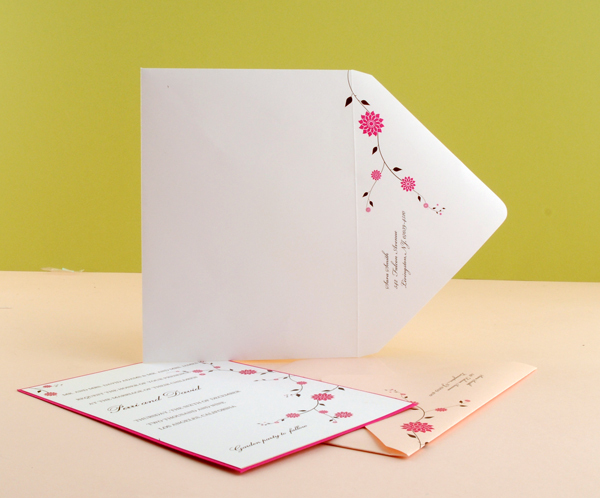 We offer full color and white ink digital printing on all of our envelopes. Each return address will be printed in the same high quality style you expect on all your stationery. Add Guest Addressing to any of your envelopes! We will match it to the design, color and font of your invitation or personal stationery.